What would you do without your mum? I mean, really . . . . . what would you do? 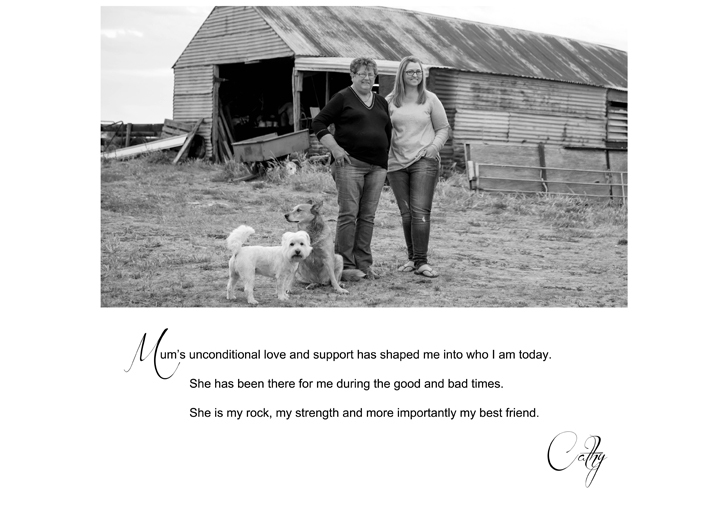 Mums – they’re always there when you need them. Every.Single.Time. Just when you think that you’re all independent and grown up and you don’t need them anymore – you will. And BAM! They’re there. And they just seem to know what to do. I think it’s in the manual. Remember the time when you were a kid and something bad happened? What was the first thing you said? I’ll bet it was: ‘GET MUM’! Yep. ‘Get Mum’ – cause no matter what the situation, mums always have the answer. True story. Now, I’m not saying that all mums are perfect. ‘Cause they’re not. But guaranteed, they always try to do their best for their kids. Every time. Mums do that. 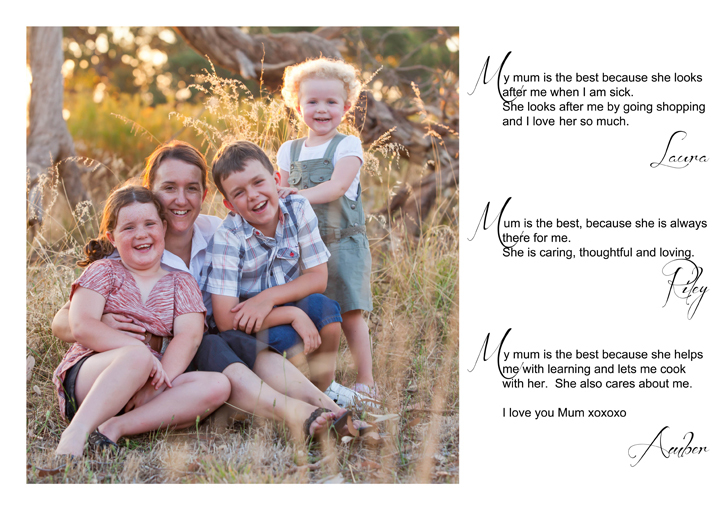 I have had the best time over the last couple of weeks, compiling these images and words, to a whole bunch of mums, from their kids. It was so beautiful, reading the words that everyone had written about their mums. I may or may not have even been a little sooky at times. Thanks to everyone who really did a great job of getting their messages to me. You’re guaranteed to be #1 child in the family once your mum reads what you’ve written about her (or husband/partner for those husbands/partners, who conspired with me). It’s a pretty special kind of slideshow. 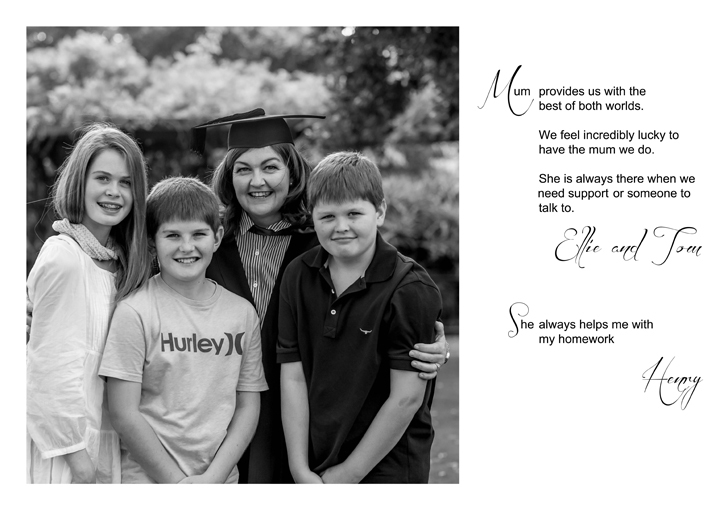 So grab a box of tissues and some popcorn and have a little read of these beautiful messages, showing just how special these mums are. 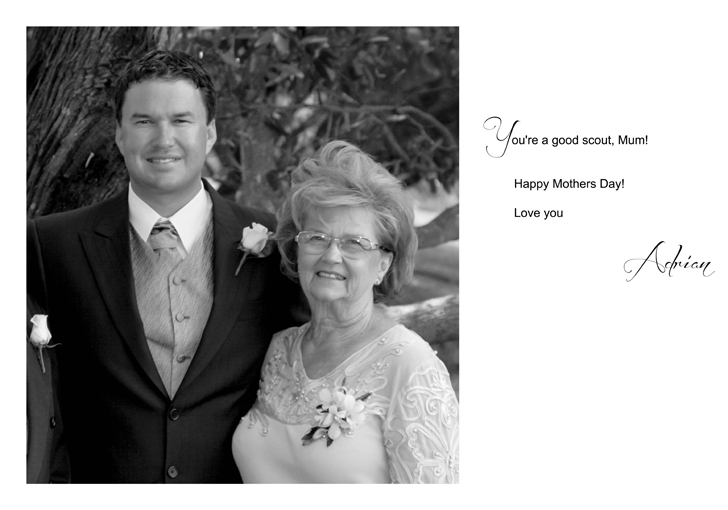 Happy Mothers Day to all the mums out there. I hope you know that you are loved. And I hope that you have a very special day.